Jim Koch, founder of Boston Beer Co., said the company’s struggles are due to competition in the craft beer market. Boston Beer Co. stock slumped more than 11 percent in after-hours trading Wednesday evening following the release of an earnings report that detailed the company’s poor performance in 2016. An early pioneer of the craft beer industry, Boston Beer reported an operating profit of $137.7 million for the year — down 12 percent from $156.2 million in 2015. Meanwhile, depletions — sales of Boston Beer products from distributors to retailers — fell five percent in 2016. The company’s flagship Sam Adams brand family fared particularly poorly, with sales to consumers falling nine percent and revenues falling seven percent, according to IRI, a Chicago-based market research firm. Boston Beer said depletions for the first six weeks of 2017 were down 15 percent from the same period last year. It projected that depletions in 2017 would, at best, grow by one percent, and at worst, fall another seven percent. 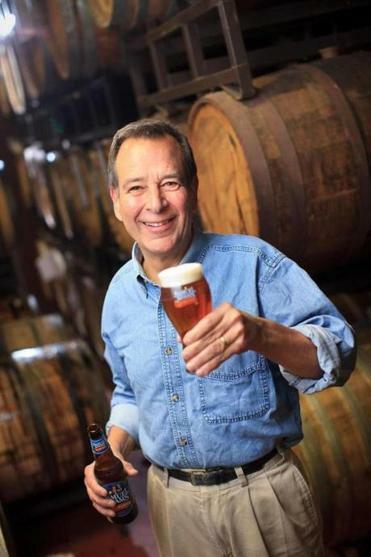 Jim Koch, the company’s founder and chairman, said he was “disappointed” by the results — and “particularly disappointed” by the performance of Samuel Adams Hopscape, a seasonal wheat beer released last month. The company’s Twisted Tea brand did see impressive growth, according to IRI, as did several low-production specialty beers, but that wasn’t nearly enough to erase the decline in Sam Adams sales and an 11-plus percent drop in sales of Boston Beer’s Angry Orchard cider products. Koch blamed the company’s overall struggles in part on the increasingly crowded craft beer market.